Licensed Producers / Aurora Cannabis Enterprises Inc.
Aurora Cannabis Enterprises Inc. is an award-winning Canadian licensed producer. Their culture minded cultivators harvest carefully grown plants in their 55,200 square-foot facility in Edmonton, Alberta. Medical marijuana plants grown in their state-of-the-art facility are fed with water from the Canadian Rockies and lab-tested to produce a clean and safe product. Cultivating, harvesting, and selling Canadian medical marijuana, Aurora Cannabis Edmonton is your best chance to experience the healing power of nature. 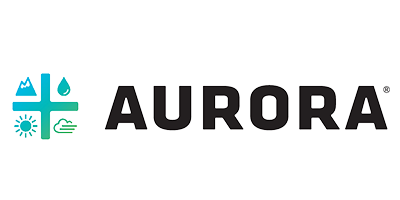 Aurora Cannabis Inc. is one of 50 licensed producers in Canada that operate legally under Health Canada guidelines. They only provide access to medical marijuana to patients that have a valid medical marijuana license. Alberta residents wishing to register with Aurora Cannabis Enterprises Inc. should start by visiting the website. Simply create an account, complete the application form to register, and submit your medical document. Once you have successfully registered, you can start shopping online. Orders placed online will be shipped to you in the mail.